There's something about the nature of simplicity in good car design that encapsulates a feeling of timelessness, nostalgia and excitement. The Mini and its development is no exception to the rule. To quote designer James Dyson; "One of the most fun inventions of my lifetime is the Mini." Although, no longer produced by the British Motor Corporation as a solution to low-cost and fuel efficient transportation, its heritage is very much alive, thanks to the good people at BMW. New models are developed initially to conform to the, " Mini-lifestyle" aesthetic, while incorporating innovation and trend setting technology as key market factors. Mini, much like the Volkswagen Beetle and Porsche 911 series have attained near cult status, the result of staying true to their original design form. The Mini phenomenon is best represented by those enthusiasts that buy, restore and take pride in their cars world wide, whether old or new. 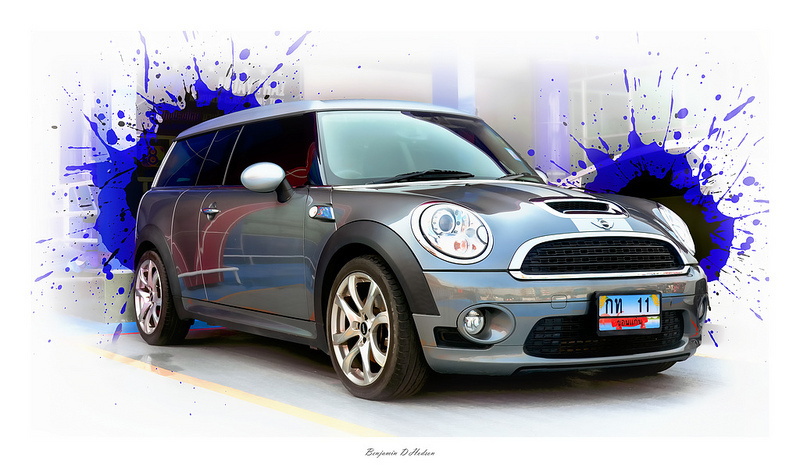 This series of images uses photography and graphic design techniques to produce artistic renderings that pay homage to the Mini as a motoring icon.